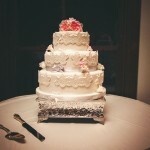 It was my pleasure to make Bec & Matthew’s wedding cake last year. I traveled to Rainbow Shores Resort at Rainbow Beach with the cake, and was lucky enough to meet the groom and his groomsmen during set up! 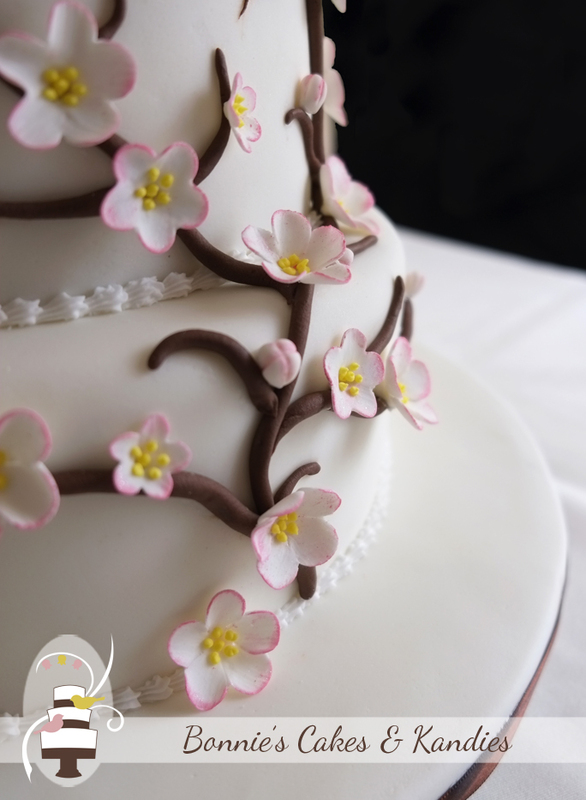 Recreated from a photography supplied by the bride, I decorated the cake with a climbing vine of edible cherry blossoms. 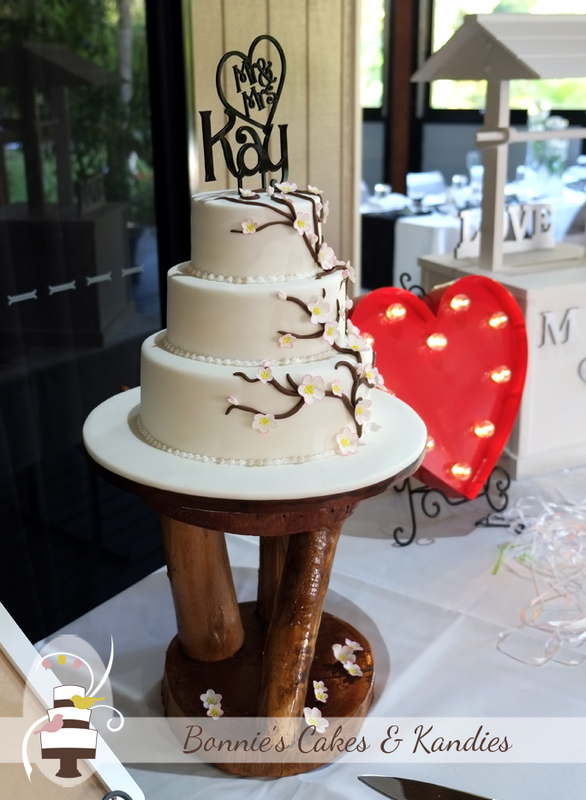 A cake topper reading, ‘Mr & Mrs Kay’ added a personal touch to the design, and the wooden cake stand brought everything together very nicely! 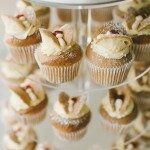 The flavours of the day included black forest cake, white chocolate mud, and dark chocolate mud. Bec & Matthew also ordered dark chocolate mud cupcakes with white chocolate buttercream icing, and white chocolate mud cupcakes with brown-coloured white chocolate buttercream icing – the contrasting colours created a great effect! 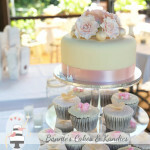 I absolutely love traveling out to Rainbow Beach with wedding cakes. 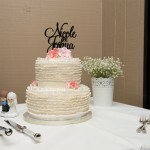 It is a beautiful place to hold a wedding and celebrate the beginning of a marriage. 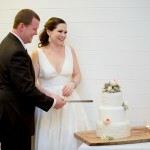 To Bec & Matthew – thank you so very much for trusting me with your beautiful wedding cake and cupcakes! 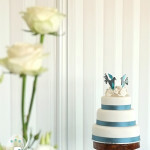 I wish you all the very best as you continue your journey through life together :).